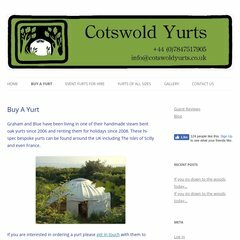 Topics: Oakridge Yurt, Lillyhorn Yurt, Booking Buy A Yurt, Things To Do, and The Farm. Its 2 nameservers are ns1.server3.co.uk, and ns0.server3.co.uk. It is hosted by Dedipower Managed Hosting (England, Reading,) using Apache web server. Its local IP address is 81.29.92.128. PING (81.29.92.128) 56(84) bytes of data.